Choosing a ripe avocado is difficult enough without the despair of having it oxidize and turn brown within minutes of peeling it. Avocados are basically big, fleshy berries full of polyphenol oxidase, an enzyme that, when exposed to oxygen, converts to melanin, the same pigment that colors skin. Melanin isn't the bad guy here, oxygen is. 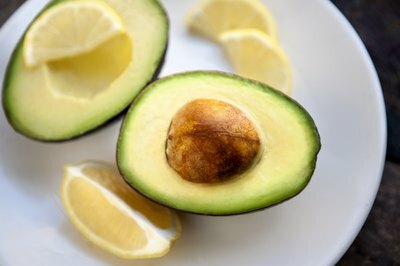 Oxidation and enzymatic browning are inevitable after you slice an avocado -- they're part of the ripening process -- so you have to incorporate an oxygen insulator, such as oil, or an enzymatic inhibitor, such as acid, to stave them off as long as possible. These instructions talk about how to keep your cut avocados fresh for a few hours. If you want to store cut avocados for days at a time, read this for more options. Mix together equal parts water and food acid in a bowl. 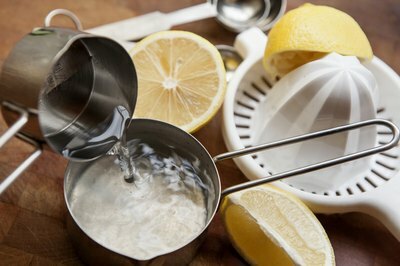 Lemon juice, lime juice or vinegar work best here. Slice the avocado in half lengthwise and spoon out the seed. 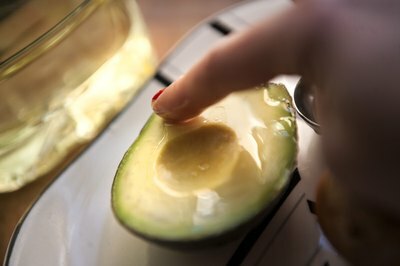 Dip the cut surfaces of the avocado halves in the acidulated water, then peel the skin from the halves and dip the other sides in the water. Slice the avocado as desired. Dip each slice in the acidulated water after cutting it then place it on a paper towel to drain. Use the avocado as soon as possible. Slice the avocado in half lengthwise and spoon out the seed. 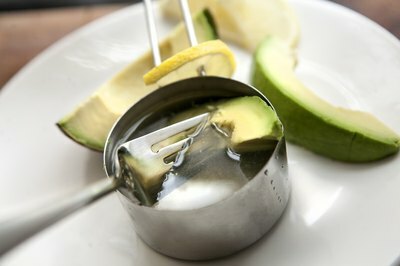 Dip the tip of your finger in vegetable oil and coat the cut surfaces of the avocado in a thin sheen. 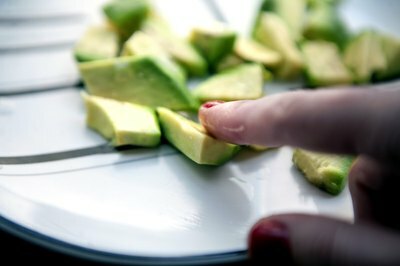 Chop the avocado into cubes then lightly oil your fingertips. Coat the facets of each cube with a thin sheen of oil. 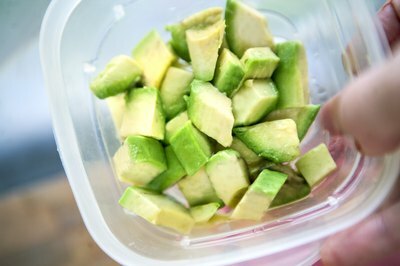 Transfer the avocado to an airtight food-storage container. Store the avocado in the refrigerator up to 3 hours. 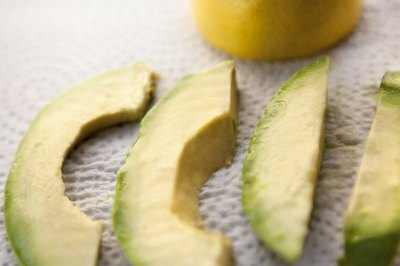 You can also store a halved avocado with an unpeeled onion to temporarily prevent oxidation. Pick off the tip of the stem on the bottom of the avocados before you buy to determine their ripeness. If the exposed tissue is yellow or green, the flesh is fresh. If the exposed tissue is brown, the flesh had over-ripened. Store avocados in the refrigerator instead of on the counter to slow ripening and browning. Live Science: Can an Avocado Pit Really Keep Guacamole From Turning Brown? What If an Avocado Is Brown in the Middle? How Can I Soften an Avocado?